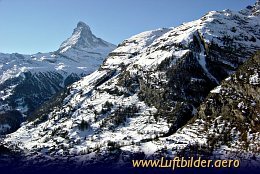 The Matterhorn with its altitude of 4478m is the 7th highest mountain in the Alps. Because of its unique form and many stories about mountaineering the peak it became one of the best known mountains in the world. 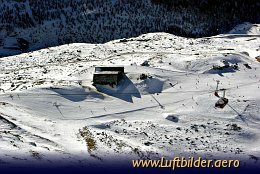 Cable car to the Rothorn Paradise, from where you have a marvellous view to the Matterhorn Peak. At Blauherd station the funicular railway from Zermatt ends. 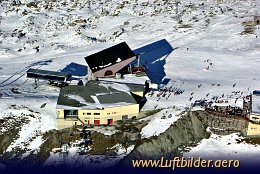 From here you can either go up further to the Rothorn Peak or enjoy skiing down the slopes to Zermatt.